Forty-nine percent of children with autism spectrum disorders (ASD) and many children with other diagnoses engage in wandering behavior at some point in their lives, yet caregivers and the community are often unaware of how to protect these children from the dangers of wandering. In an effort to better serve Connecting for Kids (CFK) families and the communities where we live, CFK has prepared a collection of wandering resources for caregivers and the community. 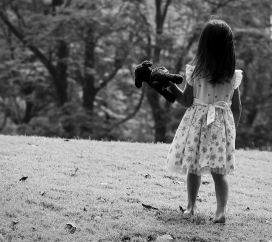 If you are a caregiver to a child who has engaged in wandering behavior or who is part of a group that is at risk wandering, please see our Caregiver Resources, including tips to put a S.T.O.P. to wandering. Members of the community can use the resources we have collected on our Community Resource page to learn more about wandering and become better first responders. Wandering (also called eloping, bolting, running) occurs when a person, who requires some level of supervision to be safe, leaves a supervised, safe space and/or the care of a responsible person and is exposed to potential dangers. While most frequently seen in individuals with autism spectrum disorders (ASD) and Alzheimer’s, wandering behavior can occur with numerous other diagnoses, including Down syndrome, intellectual disability, anxiety and ADHD.